42 million abortions occurred worldwide in 2018. Those numbers exceed deaths related to cancer, HIV/AIDS, traffic accidents, and suicide. Hollywood Attempts To Justify Abortion In Disgusting Way. University caught experimenting with 9-month old fetus. Chelsea Clinton agree with Margaret Sanger. The more we kill black babies while they are still in the womb, the better it is for our nation. HOLLYWOOD ATTACKS ANYONE WHO BELIEVES IN LIFE. Hollywood just loves to demonize everyone who inherently believes that abortion should be outright illegal. Somehow they’re able to portray pro-life advocates as irate despicable monsters when all we want is to give every child that was conceived a chance in this world. But the way this new Lifetime show – which you can also find on Hulu and Amazon Prime – justifies an abortion from one of its characters is unbelievably sickening. University Finally Stops Experiments Using Body Parts of Babies Aborted Up to Birth, After Pro-Life Pressure. "The University of New Mexico has announced that it is suspending human fetal tissue experimentation program after it determined that researcher Robin Ohls violated UNM Health Sciences Center policy regarding aborted baby remains it obtained from Southwestern Women’s Options, one of the few facilities in America that openly conducts abortions throughout all nine months of pregnancy." 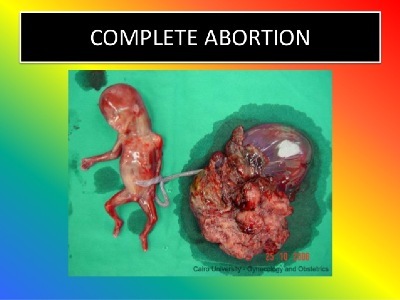 The abortion of a human life occurs when the human fetus is destroyed. PLANNED PARENTHOOD GOES AFTER BRETT KAVANAUGH. "Planned Parenthood launched a fierce attack on U.S. Supreme Court nominee Brett Kavanaugh on Monday night, July 9. 2018, claiming he would “wreak havoc” on abortion. "Planned Parenthood and other pro-abortion groups held a raucous protest outside the U.S. Supreme Court as Trump made his announcement. The protest became so nasty that some journalists said they left because they did not feel safe broadcasting there," proving that the democrat party's campaign of intimidation and harassment is working. PLANNED PARENTHOOD REMAINS ONE OF THE BIGGEST PRODUCERS OF FAKE NEWS ABOUT ABORTION. Planned Parenthood, as soon as they learned that Trump would choose a Supreme Court Justice to replace Anthony Kennedy, restated their "BIG LIE". "You can scan Planned Parenthood’s Twitter feed from now until the end of eternity, however, and you will never find a tweet alerting you to the part of the Constitution that guarantees every woman in America the “right to a safe, legal abortion.” That’s not because the organization is lazy, of course, but because there is no such right enumerated in the nation’s founding document, nor in any of the Amendments that have been added in the ensuing 200+ years. It is a fiction, a fallacy, and an outright lie." Many poorly educated democrats actually believe this Planned Parenthood lie. Abortion is one of the most private decisions a woman can make, abortion is also one of the most contentious topics in American civic life. Some feel a fetus is actually a human life, rather than a cluster of cells. Some think the father should have a say in abortion. Abortion is protested at rallies and politicized in party platforms, terminating pregnancy is often characterized as a selfish decision by women who put their own interests above those of the fetus. This background of stigma and hostility has stifled women’s willingness to talk about abortion, which in turn distorts public and political discussion. To pry open the silence surrounding this public issue, Sanger distinguishes between abortion privacy, a form of nondisclosure based on a woman’s desire to control personal information, and abortion secrecy, a woman’s defense against the many harms of disclosure. Laws regulating abortion patients and providers treat abortion not as an acceptable medical decision―let alone a right―but as something disreputable, immoral, and chosen by mistake. Exploiting the emotional power of fetal imagery, laws require women to undergo ultrasound, a practice welcomed in wanted pregnancies but commandeered for use against women with unwanted pregnancies. Sanger takes these prejudicial views of women’s abortion decisions into the twenty-first century by uncovering new connections between abortion law and American culture and politics. "Fifty Ways to Help Unborn Babies and Their Mothers"
As politicians, citizens, and families continue the raging national debate on whether it's proper to end human life in the womb, resources like Randy Alcorn's Pro-life Answers to Pro-choice Arguments have proven invaluable. With over 75,000 copies in print, this revised and updated guide offers timely information and inspiration from a "sanctity of life" perspective. Real answers to real questions about abortion appear in logical and concise form. The final chapter -- "Fifty Ways to Help Unborn Babies and Their Mothers"-- is worth the price of this book alone!